In my last blog, I said I would address the topic of severance packages. From the perspective of a lay person, a severance deal can be seen as an undeserved reward for failing in an organization. The severed employee goes on an extended company paid vacation while the minions are left to slave away for months or years cleaning up the mess. I should clarify my terminology. I am making a lot of references to CEOs in these commentaries but the principles I am describing apply equally to all of the ‘O’s. In fact, either the CEO is setting the tone for the organization or what happens to him has a collateral effect on the other executives in organizations. While I am on this subject, I should also acknowledge my use of the male gender. This is not intended to offend anyone or indicate bias. I am tired of the political correctness that is killing our society. If you see me use male gender, you can feel free to read him/her in its place. I covered a number of reasons why an executive might leave an organization in my last article. The overwhelming majority of causes of executive turnover are not controllable by the executive and sometimes are symptomatic of issues beyond the control of the executive or possibly even the Board. This is the fundamental reason for a severance package. In an earlier blog, I covered the risk that other executives are exposed to in the event of CEO turnover. You can become eligible for turnover by just being in the wrong place at the wrong time. A severance package has two basic goals. The first is to ease recruitment by reducing the risk associated with turnover. An executive is more likely to join an organization if they believe they are putting themselves or their family at less risk. The second primary reason for a severance package is similar to the first. The only way an executive is going to put the needs of the organization ahead of his own is if he does not care whether a course of action results in him losing his job. An administrative assistant in a hospital once told me that the best CEO the organization had ever had was independently wealthy and did not need the job. As a result, his focus was always on what was best for the hospital without regard to whether it put his job in jeopardy. I not have seen other situations where an executive was sufficiently independent that his only goal in every situation was the best outcome for the hospital, especially in the absence of a severance agreement. Even with a severance package, the executive still has fear of loss of his job. Without severance, a Board is delusional to believe that their executives are going to engage in material personal risk on behalf of the organization. They can be expected to pursue the more pressing objective of job preservation. This type of paralysis will always lead to sub-optimizaton in the organization. This phenoma explains one reason that interim executives can be transformational in an organization. They are generally not running for the job and they have nothing to lose by focusing on the best for the organization. If an organization wants the best from their executives, they must be willing to insulate them from as much risk of repercussion of the politics of their activities as possible. On the other hand, severance packages can add sting to a bad outcome that results from a bad hiring decision in the first place. 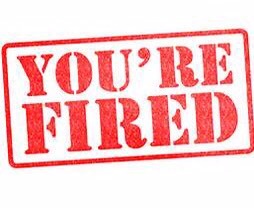 If an organization makes a mistake in recruitment and the executive has a short tenure as a result, the severance package adds insult to injury and makes the turnover even more expensive than it would be otherwise. Unfortunately, it is difficult if not impossible these days to recruit a CEO without a severance package and I believe it is becoming increasingly difficult to recuit other well qualified executives without severance packages. An organization unwilling to offer a severance package may be excluding itself from some of the best qualified candidates in a search. Michael Rindler writing for Trustee Magazine produced an excellent article on Use and abuse of golden parachutes. In this article, Mr. Rindler makes a number of observations about how severance packages have been abused and argues for performance based severance. While I generally agree with Mr. Rindler, I have a somewhat different view. If an organization wants the best from a CEO or any other ‘O’ for that matter, it must insulate them from the risks that their actions will result in their termination. If an executive is indifferent regarding whether or not they maintain a job in an organization as long as they are doing the right thing(s), they will get superior results. It is when they have fear of the repercussions of their activities that they start to sub-optimize or prioritize their self preservation interests above the intents of the organization. Another reason for severance is that it enhances the recruitment process. Being an ‘O’ in healthcare these days is among the most unstable, high risk jobs among similar executive positions in any industry. This risk makes it difficult for an otherwise highly desirable executive to leave a comfortable situation to go into an unknown situation that might offer greater opportunity at unknown risk. If the executive already has a severance package, they generally will not even consider another situation that does not offer the same or better ‘safety net’ regardless of the appeal of the new situation. Therefore, severance packages are often necessary from a competitive perspective if the intent is to recruit the best talent available under the circumstances. Where does this leave us? Are severance packages a good idea? I would say yes on balance. Is is proper to reward executives for taking risks in an organization that may result in them leaving. It is also justifiable to use severance packages to ease transitions when the fit is no longer right. I do agree with Mr. Rindler’s argument that severance packages should be performance based. I have not seen this done and I expect that many organizations would have difficulty with these arrangements because it is so hard to quantify the performance being measured and the effect of an executive or lack thereof in influencing that performance. The severance packages I have seen for the most part do the exact opposite of what Rindler is suggesting. In order for them to not be honored, the executive would have to be CONVICTED of a felony related to the performance on their job. This is also know as the Clinton defense where undisputed perjury does not constitute a crime as long as it is not related directly to the job. Most of this has been written from the perspective of the Board of an organization. I would advise a prospective executive to always seek a severance agreement. You have no way of knowing what you are really getting yourself into and it is a reasonably safe bet that you will learn things that might have changed your mind had you known them before signing on. Whether you are the CEO or not, you are exposed to a great deal of risk you cannot control and may end up on the street as collateral damage related to the failure of some other executive. The time to get the severance deal is during the job negotiation. It will become infinitely more difficult if not impossible after the fact. I know executives that felt they were promised severance packages that never materialized. The operative principle here is the same one applied by practitioners of the world’s oldest profession. They know the perceived value of a service is always higher before it is delivered than after the fact. In conclusion, severance packages are tricky and frequently they do not work as intended for either party. Excellent executive talent is in very short supply and severance agreements are minimum requirements in most executive recruitments. The best an organization can hope for is a package that encourages longevity and enhances the probability of desired outcomes. Getting this for an organization is the trick. As is the case in most complicated situations, an astute organization will seek the guidance and counsel of experts in negotiation, employment law and recruitment to obtain the best talent possible at the best cost with mutually beneficial employment arrangements. Failure to do this can result in the spectacularly bad outcomes Rindler and others complain about. Whether the complaints are justified or not, the organization can still end up in the media defending their actions handicapped by the fact that the complainants have the benefit of perfect hindsight. Previous Why do CEOs get fired or leave organizations anyway?